This music boasts a blackened death metal vibe that is vicious enough to conjure the devil! Building momentum for your band has got to be one of the trickiest obstacles to master. There’s a fine line between waiting too long to release an album or flooding the market with your material. Lecherous Nocturne is from South Carolina, active since 1997 and they are in the process of building momentum. Their latest release: Occultaclysmic is due out April 6th via Willowtip Records. Knowing the band a bit, I was aware they lost their vocalist prior to releasing their last effort, Behold Almighty Doctrine (2013). Chris Lollis (ex-Nile) did an exemplary job filling in but I wasn’t sure the material he took part in was truly presented in the fashion the rest of the band had originally envisioned. 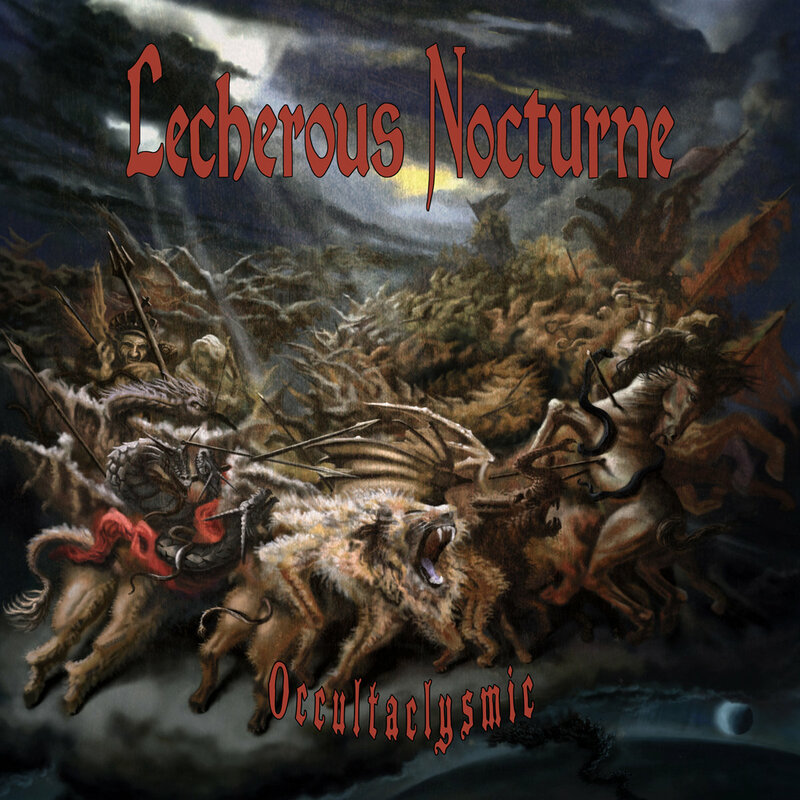 For that reason alone I was glad Lecherous Nocturne took their time with Occultaclysmic. Technical death metal tends to run on the edge of redundancy. A solid vocalist can cover these deficiencies and enhance the overall attack. The new Lecherous vocalist, Josh Crouse, is definitely a welcomed addition to the group. His recklessly unforgiving vocals have just the urgency this band needs. Devastating to the point of exhaustion, his performance puts the band on a new plateau of barbarity. Highlight tracks for me are: “Quantum Mysticism”, “Occultaclysmic”, “Tower of Silence”, “Unidimensional Eclipse”, “Psionics” and “Time’s Ceaseless Onslaught”.